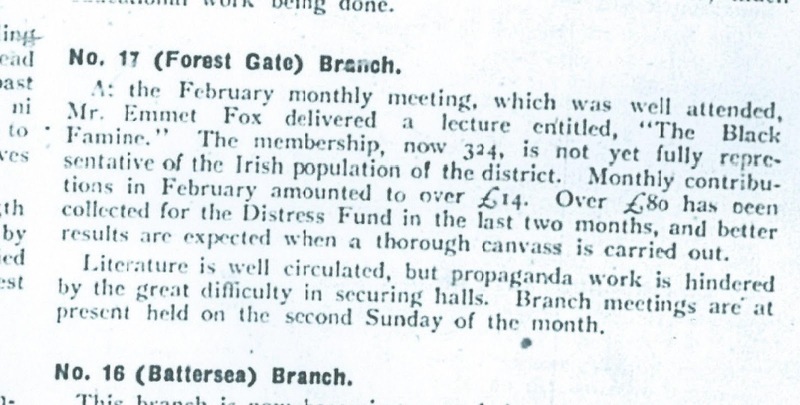 This is a follow-up post to last week's account of Forest Gate and Irish Independence. It weaves together much of the romance associated with Irish nationalism, through the life of local lad, Desmond FitzGerald. He attended what is now St Bonaventure's school in Forest Gate, became a committed nationalist, was active in Dublin's iconic O'Connell Street GPO building during the Irish rising of Easter 1916, was a minister in the first Irish government, fathered Garret Fitzgerald, Irish Taoiseach, in the 1980s, and, as he retired from politics, switched to poetry, as a friend and associate of of Ezra Pound and WB Yeats. Born in Stratford on 13 February 1888, Desmond FitzGerald was the youngest son of a family that had arrived from Ireland during the 1860s. His father was a stonemason from Tipperary, and his mother was from Kerry. Desmond was born Thomas Joseph FitzGerald, but changed his own name during his mid-teens, as a schoolboy at West Ham Grammar School (This was the name of the modern St Bonaventure's school from 1908 - 1944), to reflect his Irish heritage. His older brother, William Francis Fitzgerald, was also born in Stratford. It is likely that he, too, changed his given names. William is a hated name within the Irish nationalist community, because of its association with King Billy and the Battle of the Boyne. "William" appears to have dropped this first name, and adopt his middle name (Francis), as his preferred chosen name, when he became involved in the nationalist movement. For a fuller account of his own extraordinary local activities, see our earlier post, referenced above. There was also an older sister, Katharine. 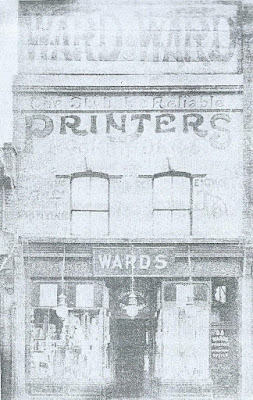 The 1901 census shows Thomas (later Desmond) junior living with his parents, sister and brother at 9 Reginald Road E7 (see photo, above). Thomas’ elder brother’s name is in this census is given as William F. FitzGerald, aged 16 in 1901. He is described as a “commercial clerk”. By 1911 Thomas Fitzgerald senior had died, and the family was living at 8 Upton Avenue Forest Gate (see photo, below). 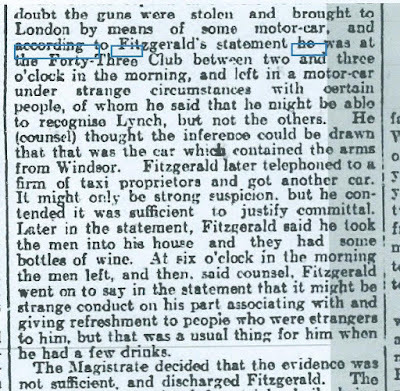 Francis Fitzgerald (the former "William") was described as a “commercial traveller, druggist and chemists sundriest”. Desmond was described (under his birth name of Thomas) as a merchant’s clerk. Katharine was the headmistress of a Council school in West Ham. This was clearly an aspirational family, where the children of migrant parents had received a good education and were beginning middle class careers. They were also politically and culturally engaged. 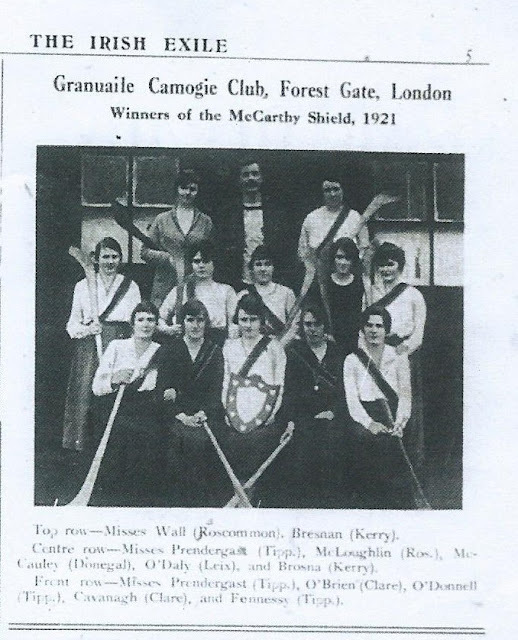 The Forest Gate Irish community in the early 1900s was supporting a lively and well-organised branch of the Gaelic League, dedicated to promoting Irish language and culture. Over 100 young men and women regularly attended weekly evening classes at Earlham Hall in Earlham Grove, and it is easy to imagine the FitzGeralds joining in the League’s activities. As last week's post showed, Francis, indeed, lived opposite Earlham Hall and the paper, the Irish Exile, advertised classes there in Irish culture and celebrated a sporting achievement by one of its women's teams. In addition to the classes there were musical events and regular summer outings to Epping Forest. Desmond travelled to Brittany at the age of 20 and was fluent in many languages. Upon returning to Britain, he joined a group of London poets, including Ezra Pound, called the "Imagists". He first visited Ireland in 1910 and the following year married Mabel Washington McConnell - a nationalist and republican of Ulster Protestant descent - having met at a Gaelic League Irish language class. It is reported that Mabel became a Catholic on her marriage to Desmond. Their son, the future Irish Taoiseach, Garret (see below), later described his political objective as the creation of a pluralist Ireland, where the northern Protestants of his mother's family tradition and the southern Catholics of his father's could feel equally at home. A pluralism fostered in the streets of Forest Gate, no doubt! Mabel was born in Belfast, the daughter of a distillery manager. 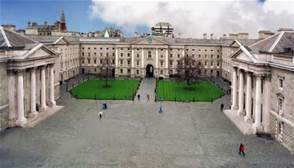 She went to Queen’s University where she joined the Gaelic League, and later moved to London, where she became involved in radical feminist politics through membership of the Women’s Social and Political Union (WSPU - the formal name for what is commonly called the Suffragettes). She briefly became George Bernard Shaw’s secretary in 1909, but did not share his views about the relative importance of international socialism and Irish independence (Shaw was very dismissive of many Irish nationalist activities - including the Easter rising). Mabel was an ardent nationalist, and may have affected Desmond’s politics. Desmond first went to Ireland about 1910, and in 1913 became involved with the nationalist movement, joining the Irish Volunteers and becoming a local organiser. Desmond and Mabel FitzGerald moved to Irish-speaking west Kerry, where their knowledge of the Irish language was extended further. In January 1915, Desmond was expelled from county Kerry, having convinced the Royal Irish Constabulary that he was signalling to German submarines from his home on the western peninsula, six months after the outbreak of World War 1. His consequent move to Bray, county Wicklow, and the organisation of a branch of the Irish Volunteers was curtailed by his arrest and sentence to six months imprisonment for a speech discouraging recruitment to the British army. Both my parents were in the GPO in 1916. 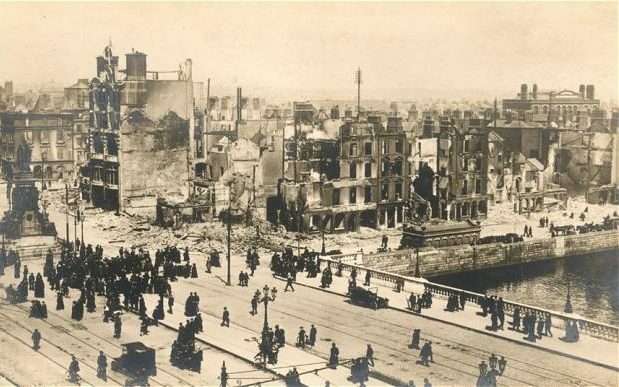 My mother was there for the first two days but after Patrick Pearse had sent her on a futile mission on the Tuesday to bring a flag to fly over Dublin Castle, which he wrongly thought had been captured, he told her to return home as he did not wish my elder brothers to lose both parents. My father, who had just completed a 6 months sentence in Mountjoy for seditious speech, was there until the Friday, when he was ordered to bring the wounded to Jervis Street hospital, a block behind the GPO - from there, after many adventures, he got home to Bray, where he was later arrested. Desmond was transferred to Dartmoor, then Maidstone jail, chained by the feet to Eamon de Valera, who, as an American citizen, had also been spared. 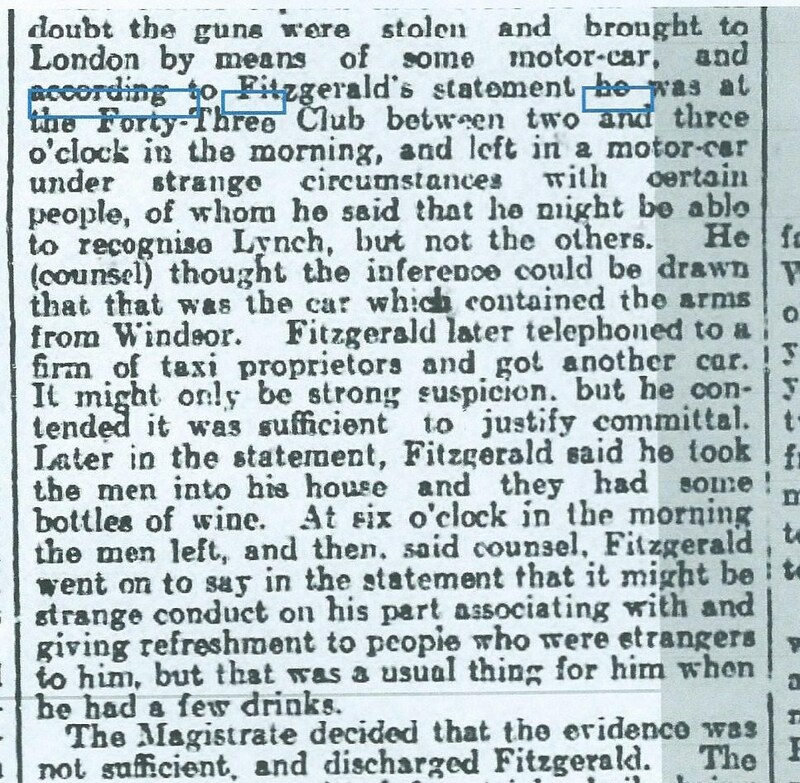 FitzGerald was released along with other 1916 prisoners in July 1917, but rearrested in 1918 and jailed for 10 months in Gloucester prison. Clearly an intellectual at home in literary society, Fitzgerald had a play, The Saints, produced by Dublin's famous Abbey Theatre in 1919 and published books on poetry and the philosophy of politics. 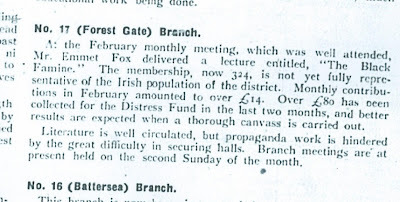 At the election of December 1918, Sinn Fein swept Ireland, winning 73 out of 105 seats, with many of those elected “absent, imprisoned by foreigners”, as the roll call put it. FitzGerald was among them. After a campaign led by Mabel, he took the Dublin Pembroke constituency seat for Sinn Fein. FitzGerald’s was appointed Director of Publicity for Dail Eireann in 1919, and was also editor of the Irish Bulletin. His role was to counter British propaganda and use his contacts in London to forge channels to journalists from overseas and secure a republican narrative. He was again arrested, but released in time for the Truce. The live man, out of lands and prisons, shakes the dry pods Probes for old wills and friendships, and the big locust-casques. 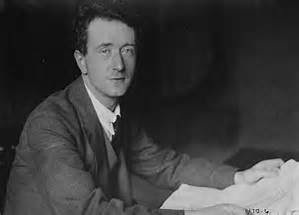 He was part of the negotiating team which signed the Anglo-Irish Treaty with Britain in December 1921 which established the Provisional Government. FitzGerald supported the Treaty (Mabel was strongly opposed - wishing to see a full 32 county independent Ireland) and served first as Minister for Publicity and later Minister for External Affairs, at a time (August 1922) when Southern Ireland still existed as part of the UK. He was a TD (MP) for Dublin County from 1922 to 1932 and then for Carlow County until 1937. He was a member of the Seanad (the senate) from 1938 until 1943, the year he retired from politics, aged 55. 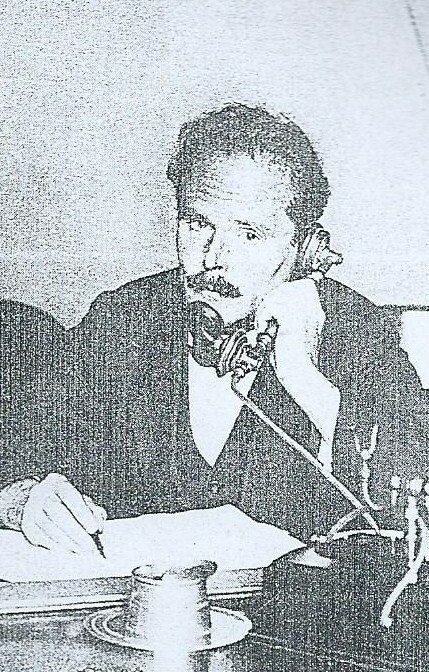 FitzGerald drifted to the right politically, and was less active in politics after the defeat of the Cosgrave government to de Valera in 1932. Even before , though, the man whom Michael Collins had described as a “stiff shirt” was seen as over-intellectual by some of his cabinet colleagues. Throughout the 1930s, FitzGerald’s interests took him back to poetry and towards philosophy, markedly that of St Thomas Aquinas, and his views embraced a kind of mystic fascism, along with many of his kind including his friends Pound and Yeats. Desmond FitzGerald died on 9 April 1947, though his family continued to play a role in Irish politics. 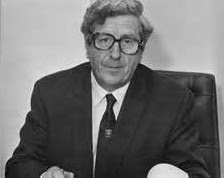 One of his sons, Garret Fitzgerald, became a prominent Irish politician between 1969 and 1987. Garret was elected to the Dail in 1969, and lead his party Fine Gael between 1977 and 1987 - holding the post of Taoiseach (Prime Minister) twice in the 1980s, when his principal opponent was Charlie Haughey. In a strange quirk of Irish politics, Garret's first post in government was as Minister of Foreign Affairs in Liam Cosgrave's government, fifty years after his own father, Desmond, became a Minister of Foreign Affairs in Cosgrave's father's Irish government! As Taoiseach, responding to his own "mixed family" origins, he clashed with the Catholic church in Ireland, as he tried to loosen the links between church and state, with even the Pope being called to try and deflect his objective. Perhaps as controversially, he was very unsympathetic to the cause of the hunger strikers, at a key time of tension in Northern Ireland, but played a very key role in preparing the ground - against opposition from many sides - for what, eventually, was to become the Good Friday agreement..
An extraordinary Irishman who fashioned our future in so many ways. Someone who believed in the power of education, someone who believed in the potential of youth, someone who believed in the potential of peace and who lived to see peace realised. 1. Huge thanks to Mark Gorman for great detective work in putting the bulk of this fascinating post together. 2. Thanks, also to E. Vulliamy, ‘My family’s link to the Easter Uprising’, (Observer, 27 March 2016), and University College Dublin archive: for much of the detail.